320 metres of smooth manicured concrete, lined with F1 style track barriers is all that you see while waiting to roll out of pit lane. 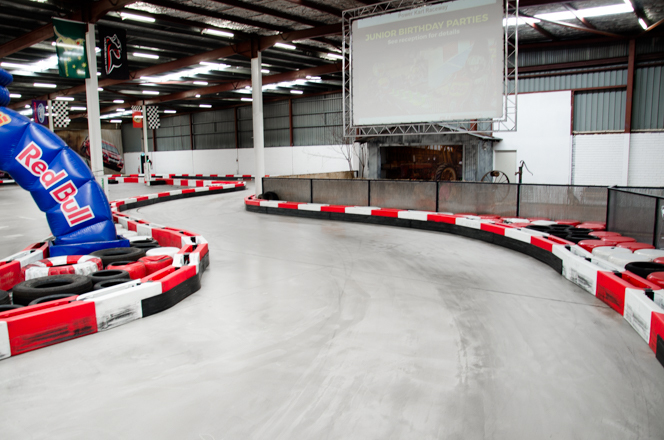 Our track has been carefully designed to provide the most exciting and safe racing experience. 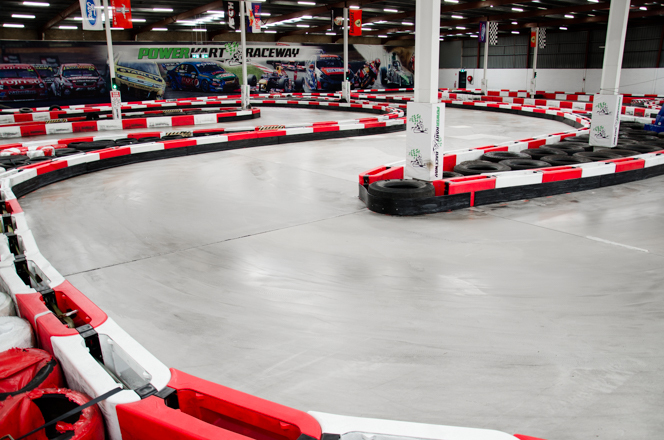 Chicanes, hairpins, straights and plenty of opportunities for passing, provide the most fun on four wheels for the pro and novice alike. 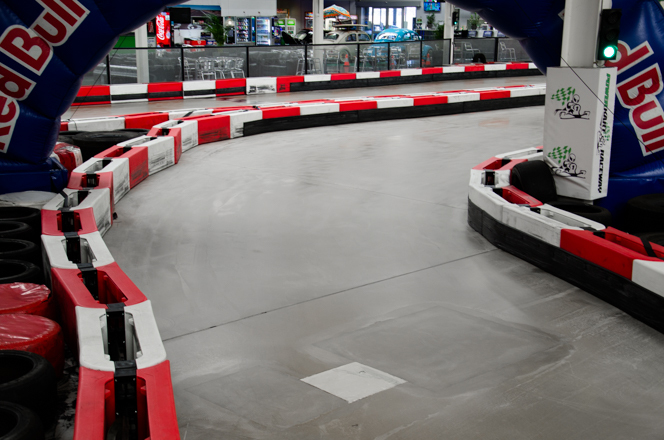 Get turns 1 and 2 right, and this corner will be a blast! If you’re too slow on the entry here it will cost you time! 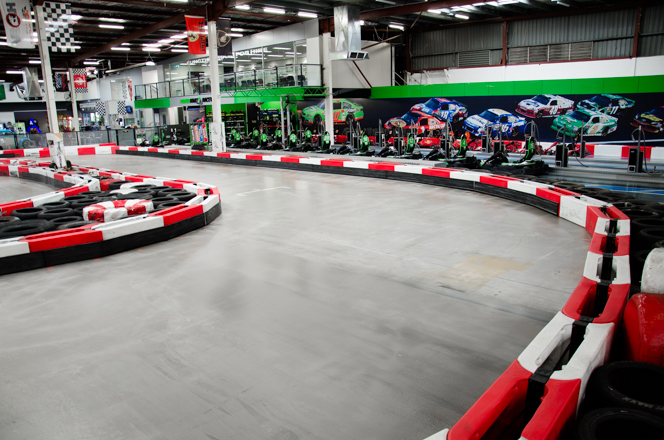 Turn 4 is a big sweeping left hander; find your timing and hit the apex to carry your speed through to the following corner. This is one of the most complex sections of the track. Go fast into turn 5 but get your line correct in preparation to brake hard for turn 6. 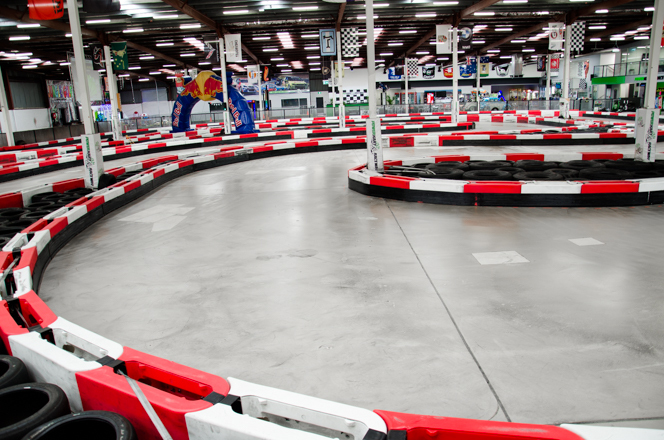 Show the right commitment and these turns are some of the most fun on the track. Turn 7 tightens up more then you think, but make sure to maintain your speed through to turn 8 for the beginning of the double hairpins. 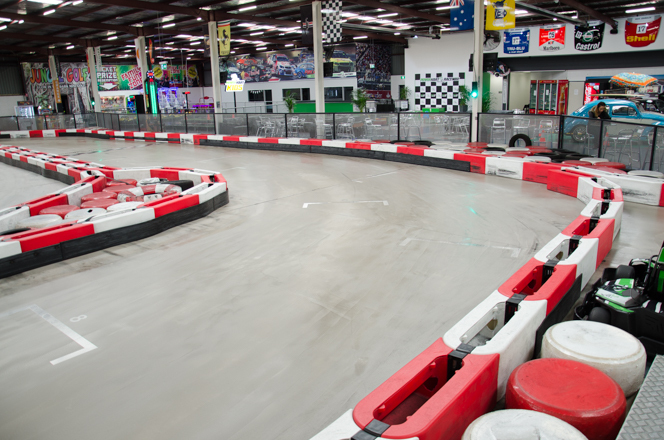 Master these two turns and you are well on your way to a fast lap time! 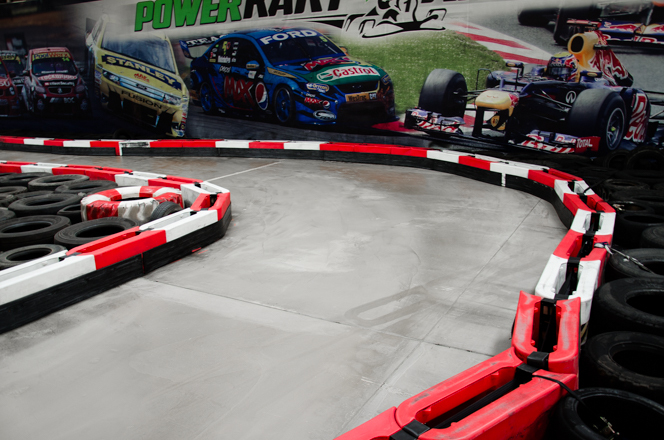 Turn 9 is one of the trickiest turns on the circuit. It’s a long hairpin with multiple ways to approach it. 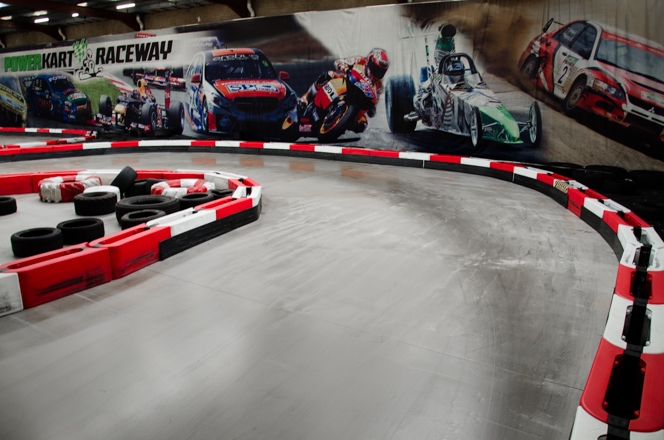 Try finding the correct line to hit the apex at a perfect time and get an awesome lap time. You’ll need practice to master it. 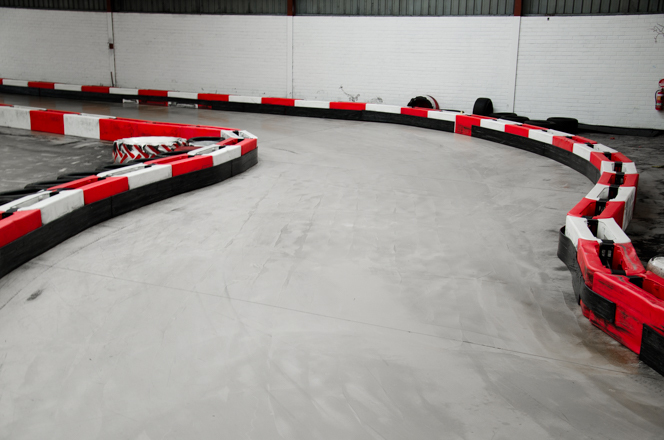 Choose your line carefully for turn 10 to get a good run onto the pit straight. Getting it wrong will slow you right down! THE FINAL TURN! - Come fast out of turn 10 down pit straight and through this corner. 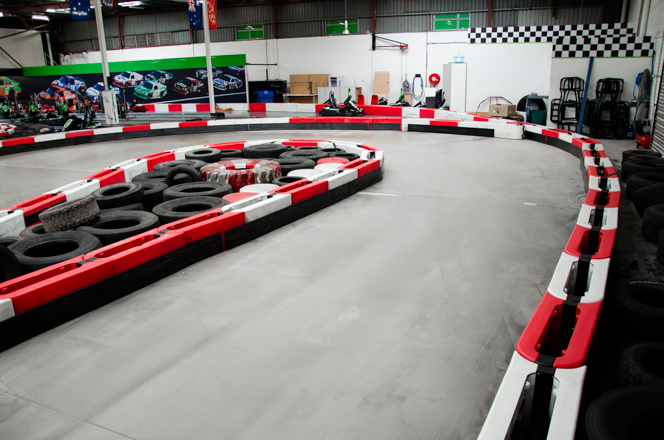 Take it easy for the first few laps until the tyres warm up, then you will be able to hit it at full speed in preparation for the chicane. Drivers can bring their own helmets but they must be full faced with visor or riding goggles and meet Australian Standards.